Why Visit Sam Pack's Five Star Ford of Lewisville for an Oil Change? 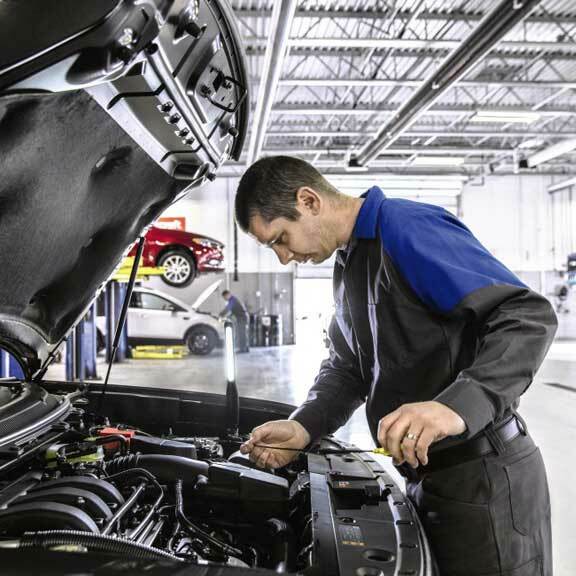 At Sam Pack's Five Star Ford of Lewisville, an oil change is so much more than just an oil change. When you come in for The Works,® you receive a complete vehicle checkup that includes a synthetic blend oil change, tire rotation and pressure check, brake inspection, Multi-Point Inspection, fluid top-off, battery test, and filter, belts and hoses check — all for a very competitive price. When you make an appointment at Sam Pack's Five Star Ford of Lewisville, an oil change should be a very fast process. Plus, you’ll enjoy the comfort of relaxing in a clean, comfortable waiting room with free Wi-Fi and refreshments. With today’s hi–tech vehicles, even something seemingly as simple as an oil change requires up-to-date knowledge of a vehicle’s engine and its specs. You get that at Sam Pack's Five Star Ford of Lewisville. We have the right parts, tools and techs to help ensure your service is done correctly the first time. Regular oil and filter changes are very important to the life of your engine. 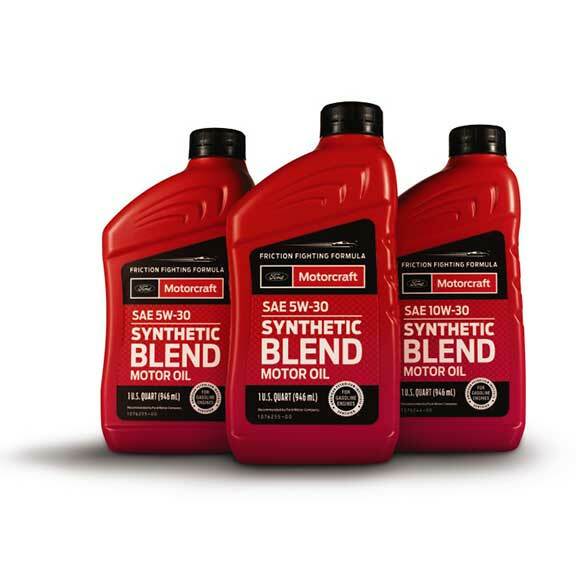 That’s because the right oil helps keep your vehicle’s engine clean, reduces overall wear and maximizes its performance. Paying close attention to your vehicle’s owner’s manual and its scheduled maintenance intervals at the recommended mileage, will help ensure that oil changes are done before any engine damage can occur. For 2008 and newer model-year vehicles, Ford recommends changing your oil every 7,500 miles or every six months, whichever comes first. For 2007 and older model-year vehicles, Ford recommends an oil change every 5,000 miles or every six months, whichever comes first. Another way to keep track is by watching the oil monitor message on your dashboard. Many newer-model vehicles come equipped with the Intelligent Oil-Life Monitor® that will inform you when it’s time to change your oil and filter. 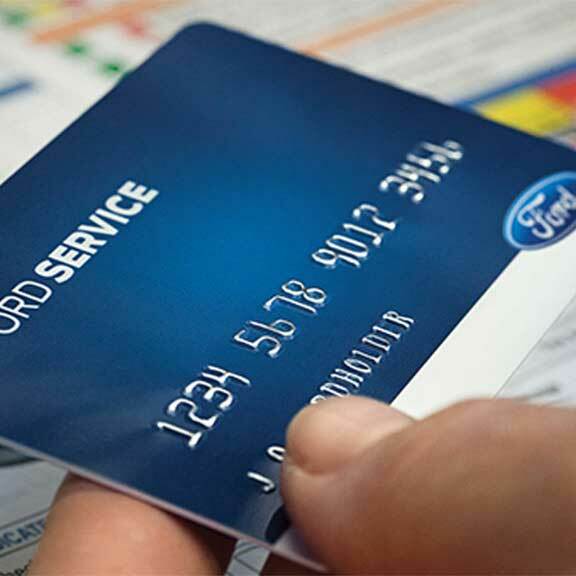 The Ford Service Credit Card is a financing option that lets you pay for all service maintenance and repairs, including tire purchases and installation, at Sam Pack's Five Star Ford of Lewisville and other Ford Dealers across the U.S. It only takes a few minutes to apply and receive the decision. YOU CAN BE ON YOURS.